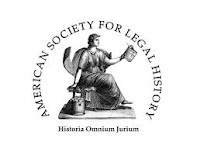 The American Society for Legal History includes an unusual committee, the Projects and Proposals Committee, which accepts funding proposals for workshops and other projects relating to legal history. Here is an opportunity to apply for funding to host an event on legal history *that is not necessarily held at an annual ASLH meeting. * The ASLH has been working to internationalize its focus. This means us, South Asianists! The deadline is Sept.15, 2016. The Projects and Proposals Committee of the American Society for Legal History is now open for business. We welcome a variety of proposals for new initiatives that will advance the “cause” of legal history. The kinds of proposals we are mandated to consider by the Board of Directors and what we need from applicants appear here and are reproduced below. All proposals need to be submitted in full before September 15, 2016, so that they can be considered in advance of the fall meeting of the Board of Directors. Questions should be directed to Dirk Hartog, chair of the committee, at hartog@princeton.edu. The Board of Directors of the American Society for Legal History has asked the Committee to offer particular encouragement to two arenas for growth in the field. First, we have been asked to help internationalize legal history, by which we mean both to support ways to widen the study of legal history beyond its core Anglo-American base and to bring a global array of scholars and students of legal history into conversation with one another. And second, we have been asked to find ways to bring a younger generation of scholars and students into the field. In pursuit of the latter goal, we have made a substantial commitment of the Society’s resources to maintain the Hurst Summer Institute, which will be held in Madison in June 2017. But beyond those particular arenas for initiative, we encourage proposals that are engaged both with what may seem to be “traditional” subjects in legal history and ones that move off in non-traditional ways. In the past, we have supported conferences (including the costs of bringing participants together, who could not afford to come otherwise), and we have supported internationalizing exchanges. We would consider subventions of scholarly publications or of museum exhibits or pedagogical experiments or of any number of other collective pursuits. We do not support individual research projects. Nor will we recommend for funding projects that have already been funded at the recommendation of the committee three times. We are not a funding source for ongoing and recurrent activities of the field or of the Society. Most of the projects we have supported have been in the 4,000 to 6,000 dollar range. Ordinarily, we would expect that projects would have other institutional collaborators and/or co-sponsors (including home universities). Proposals may come from educational institutions or from informal groups or networks of individuals. In most cases, someone involved in the proposal will be a member of the Society. We issue a yearly call for proposals. That call will be sent to all members of the American Society for Legal History later in June 2016. Our deadline for receiving applications will be September 15, 2016. The committee will then review the proposals, with the goal of recommending a list to the Board of Directors of the Society in preparation for their meeting in late October 2016. Our relatively informal application form is here.